Smells as homey as it looks...that's an apple crisp cooling on the stove. Phew, I'm all done decorating my home for Christmas and while I thought about taking you on a full tour of the place, I have decided against it. You see, it'd be pretty redundant. My December decor is basically the same this year, as it was last and if I've added anything new, well, I've already shown it to you. Sticking with the old plan may not leave me with anything fresh to feature, but as my mom used to say, if it ain't broke...well, you get the idea. Turns out, simple and rustic suits me very well. I donated several large boxes which left me with much less to display. Adding Christmas was a quick task and now I have more time to enjoy my festive view. At night, I sit alone in the kitchen or living room, lights dimmed, candles...um....on...and I just look around. A few simple Christmas accents in my family room. ...and it's not the shopping or the wrapping or the decorating or the errands. I'm focused on the joys of the day, the sound of my girls singing in the other room, the memories that are attached to each Santa or snowman and the people I miss or can't wait to see in the coming weeks. They may not be necessary, but the garland and the trees set the stage for me to welcome Christmas into my home and my heart. If I'm always moving, rushing past them, not really paying attention to the lights and sparkle, then what's the point? There's a reason for the season and that reason is why I decorate. When I was little there were no DVRs, Netflix or On Demand programming. Rudolph and Frosty came on once and if you missed them, that was that. I remember waiting for those specials with baited breath. My brother and I would circle the listings in the TV Guide with red marker and remind our parents, relentlessly, that we all had to watch. And we did. We gathered in the family room, tree and fire lit, huddled together amongst the Early American decor to cheer for the underdog and hide from the Bumble. I always dove into my dad, my head covered with a pillow...at least until he lost his teeth. The Bumble...not my dad. Great memories and fun shows. I watched every Christmas special the networks offered up, but honestly, A Charlie Brown Christmas and How The Grinch Stole Christmas were not high on my list. Charlie Brown whined a lot and the Grinch was scary. As I entered my teens and twenties, I never missed Rudolph, but The Peanuts Gang and Whoville were intentionally skipped from about 14 to 30. Then I had kids. Having kids makes a kid out of you again at Christmas, doesn't it? Suddenly, you recall your own childhood holidays with affection, and accurate or not, you had the best traditions, got the best presents and watched the best tv shows. Naturally, you want to provide that to your own children and the idea of reliving it all through their eyes makes you giddy. That meant that Charlie Brown and The Grinch made their way back into our holiday viewing line up. They were part of my childhood and holiday classics. So I watched, begrudgingly. However through grown up eyes, they were different and I began to love those two cartoons best. Oh, don't get me wrong, I still adore Rudolph and his grouchy Santa. I mean, who could resist those catchy little tunes? I know every single line, and recite them in voices for the whole hour. A colorful, sixty minute sing-a-long led by me. I'm completely silent when an exasperated Charlie Brown asks if anyone knows what Christmas is all about. When Linus says, "Lights, please" and then recites his monologue on stage, I lose it. I get chills and by the time he's done, I'm actually choked up. Teary-eyed. Happens every time. Even now, just writing about it, hearing his words in my head, by the light of my tree, I need a tissue. I'm less emotional when the Grinch's heart grows, but still silent as he wonders how Christmas came without boxes and bags, ribbons or tags...that perhaps, Christmas means a little bit more. More than my gift bag signs or my pillow sham furniture covers. More than my candy cane hurricane or the triple wreath on my front door and by the light of my electric candles, when the house is quiet and clean, I remember that. 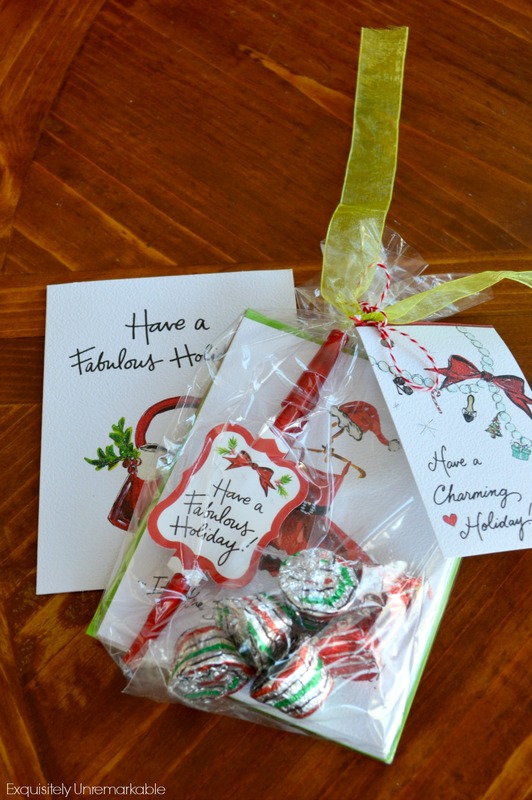 and Kris from Junk Chic Cottage sent tasty treats and note cards (also kissed with red!). AND...if you can believe it, I won another giveaway. I know! Craziness!! This one is from Carolyn at Homework. It's a spectacular coffee table book that I can't wait to dig into. Isn't it pretty?? Do I even need to mention the red?? 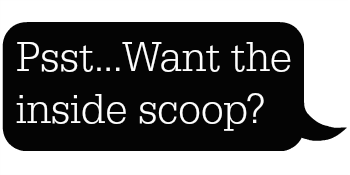 Well why not share it on Facebook or Pinterest...Or sign up for email and follow the fun. Great post! I too enjoy sitting in the evenings, reflecting on Christmas present (not gift :-) ) and Christmas past....on my own childhood memories and the memories that were made with my two boys, now adults with homes of their own, making their own memories. The Linus speech in A Charlie Brown Christmas has always moved me to tears...because every single word of it is true. When God sent HIS gift, I don't think it was meant to be what we have turned it into and I'm always thankful and happy to remove myself from the "hustle and bustle" and focus my attention on the true meaning of this season! Merry Christmas to you my sweet friend. Hugs!! it all looks so pretty and yes welcoming and cozy too..
"..our decor is just our Heart showing..." I love that Sonny. :) Perfect!! Awww . . . the lights . . . the quiet . . .
remembering . . . right now I am hoping this part of Christmas lingers for a few extra weeks . . .
Our tree is lit . . . music plays softly . . . and like you . . . I am enjoying these December Days . . .
Congrat's on your Giveaway win . . . Sweet gifts from friends too. Merry Christmas Kim . . . it has been a gift to meet you this year . . . and follow all your "exquisitely" . . .
What a treat you are . . . Thank you, Lynne and it has truly been my pleasure to meet you this year, as well. Lots of fun chats!! :) Merry Christmas my friend. Kim, you touched my heart and soul with this post - you are a beautiful writer and more than that, a beautiful person. I love all those shows and like you, the meaning behind touches my heart and soul. I love this post! You captured the nostalgic feelings surrounding Christmas and said it all perfectly. There are so many facets to Christmas and I think we all stress ourselves out trying to capture them all. We just need to sit down by the lights and remember the real reason for the season. And then watch Rudolph! Merry Christmas to you and your family. Thanks so much for mentioning my little jar! 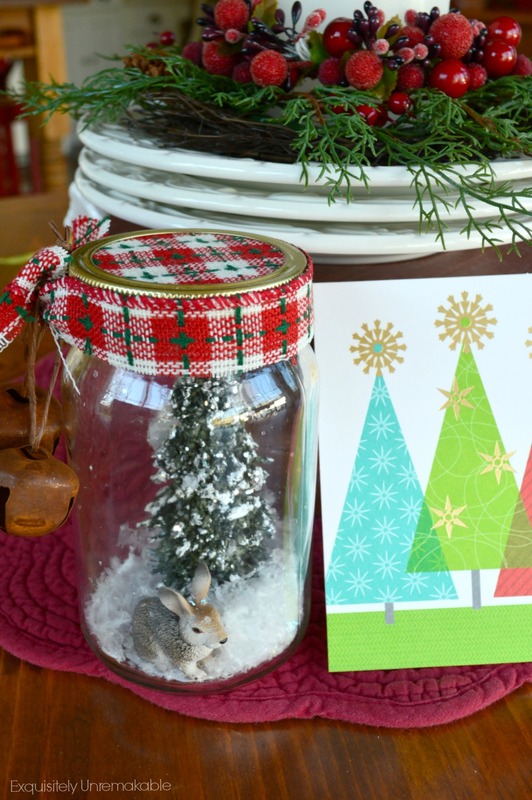 Merry Christmas, AnnMarie and thanks again for the adorable jar! Truth be told, I have to keep going into my daughter's room to fetch it. She is awfully attached to that little bunny! :) You're a big hit around here! Oh Kim, I love this post! I feel like I could have written it myself. I love to sit peacefully among my holiday decor, just like you. I always found the Grinch scary as I child, but now, I get a lump in my throat & tears in my eyes through the whole "it came without boxes" part. I'm always telling my kids how lucky they are to be able to watch movies at any time & how we had to wait once a year to watch Christmas specials. It is wonderful to sit back & enjoy the season. What a beautiful peaceful Christmas haven you have created. everything I pulled out to use this year has been loved and used before. Love this post. I remember doing the same thing with the TV guide. We would circle the days of the shows to come on TV and then all sit and watch them together as a family. It was such a wonderful time. Great memories. I love to sit at night with the tree lights and just enjoy the glow and the quiet and the memories. Special. Have a great rest of the week. Just wish this time of year did not go so quickly. Glad you love your note cards. The jar from AnnMarie is so sweet too. Blogging friends are the best. Love my cards, Kris!! Thank you again and yes, slowing the season down a bit would be fabulous, wouldn't it? Maybe that's what I'm trying to do when I sit...Merry Christmas my friend. Like you, I remember the holiday specials growing up, and how I had my favs. But you're right. As adults we have another opportunity to look at them with different eyes. Eyes that have more experience. More gratitude. More knowledge. And suddenly Linus's words are that much more poignant and meaningful. Getting older is a gift, and a much better one than any that Santa could possibly bring. I love your peaceful Christmas. Tonight Steve has a fire going, but he's watching a movie I don't want to watch. So I'm in the next room reading blogs and quietly getting ideas. I love quiet nights. Thank you....and sounds like a perfect evening, Carol! This is such a heart felt post, Kim, and I thank you! My biggest kick out of Christmas is watching the lights on the tree twinkle at night and all of those great movies. And Christmas songs on the TV or my phone. Those little things that were part of my childhood. The classics were something my sisters and I looked forward to like you and your siblings...and I really love the newer movies like Elf and The Grinch and so many more. Your home looks beautiful. So many of us say we will downsize and don't. I like that you held true to your goal. I'm trying, too, but I haven't touched the surface of my stuff yet! lol! Kim you brought back so many memories. Yes, I too waited with bated breath for Charlie to come on and I also remember not fully understanding him back then. But I do now. I recently watched the great pumpkin patch with my kids and am planning to see the Christmas special as well. This time with a grown ups eyes. Btw, Winnie is another favorite. ;) Merry Christmas. Merry Christmas, Mary! I have to look for Winnie...haven't seen that one! This is such a beautiful post, Kim! I enjoyed reading every last word. We didn't have a tv when I was young (I know you sometimes forget that I'm old...lol), and by the time we did have one, my parents weren't interested in watching a cartoon movie. As sad as that sounds, it helped shape me into a parent who was the antithesis of my parents. I watched everyone of those old movies (sometimes for the first time) with our children and often through teary eyes. I'm just sorry that Elf On-the-Shelf didn't exist back then.....I would have had so much fun with that! Aren't those battery w/timer candles just the best invention since "sliced bread?" I love candle light and have been fascinated with the beauty of candles since I was a young married. Even though I love the flicker and the aroma of real candles, it's so much fun to have the faux candles in places you could not safely have the real ones. I'm sitting in our family room right now (with my laptop) with the fireplace turned on, the mantel aglow with lights, a very sweet 4' tree twinkling in the corner, and my fur-baby sleeping in front of the fire. Can't get more Norman Rockwell than that, and I love it! It sounds like you had some lovely times when your kids were little, discovering classics right along with them. How fun!! I miss those little days…and yes, battery candles are the best! They all just go on automatically and set the house aglow! I love that. Enjoy your sweet surroundings this Christmas, Carol. Kim, I love this post so much. I needed to be reminded of what Christmas is really about. With all of the Christmas tours going on in blogland, I get caught up in thinking my decorations are not good enough and maybe I should do more. I have to be able to say when enough is enough for me and not be exhausted and grouchy all the time! Thank you, JoAnne. I'm glad that you enjoyed my words today!! :) Merry Christmas! Hi Kim, I love your Christmas decor, so pretty!! I love all that your received from your blog friends!! They are the best!! Thank you, Julie. I wish you a super festive weekend!! Hi Kim, what a heartwarming post sharing your home and the true meaning it holds for you. I share your sentiments completely. Peaceful, calm and quiet moments are special and through the glow of candle light even more so. Your home is beautiful and reflects the special lady you are. Lovely gifts you received too. Thank you so much Celestina Marie, I'm really touched by your comment. Merry Christmas to you, too!! You have the most welcoming kitchen! I love the under cabinet lighting and I swear I can smell that apple crisp. 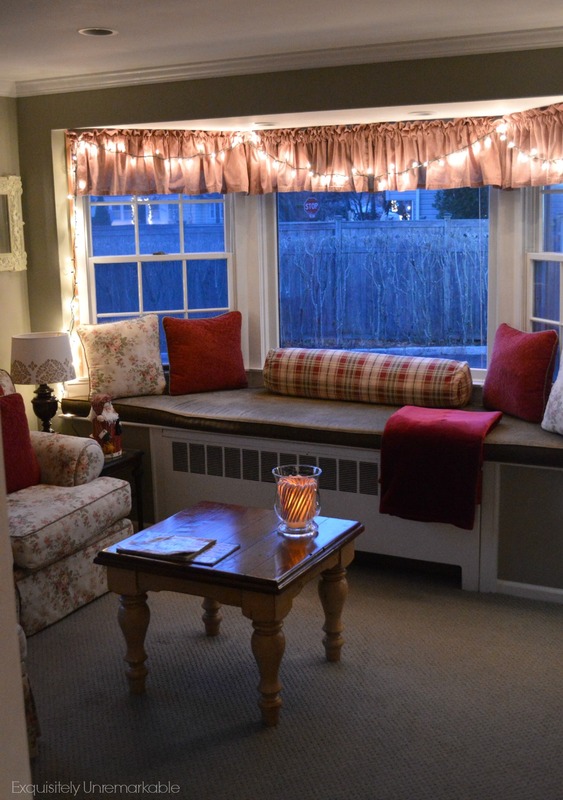 :) What a sweet window seat in the family room too! Oh yes...I totally remember the days before DVRs, Netflix, etc. It seemed like every time I went to set up the VCR to record something, it was flashing 12:00. Lol! Remember the whole Betamax vs. VHS debacle? Hee hee! My kids have a hard time understanding how we didn't always have the internet, caller ID, DVRs, etc. They're like "How did you live???" Spoiled little things. :) Anyway, I love the old Christmas shows too. Frosty, Charlie Brown, The Grinch...I'll take them all. Good times! Same or not, it still all looks beautiful to me dear Kim! Congrats on the win! U keep tweaking my Christmas decorations. With our new spaces I'm still trying to decide what looks best. I have some things in mind to buy as well if I find what I'm looking for. I love the little canning jar scene. I have a cloche I use to make a different scene for each season or holiday. Right now it's a little brown church with a red door & two bottle-brush trees all covered in snow....sitting on a very antique stoneware plate passed down in family for at least 150 yrs now. I have it sitting in my entryway to welcome my guests. 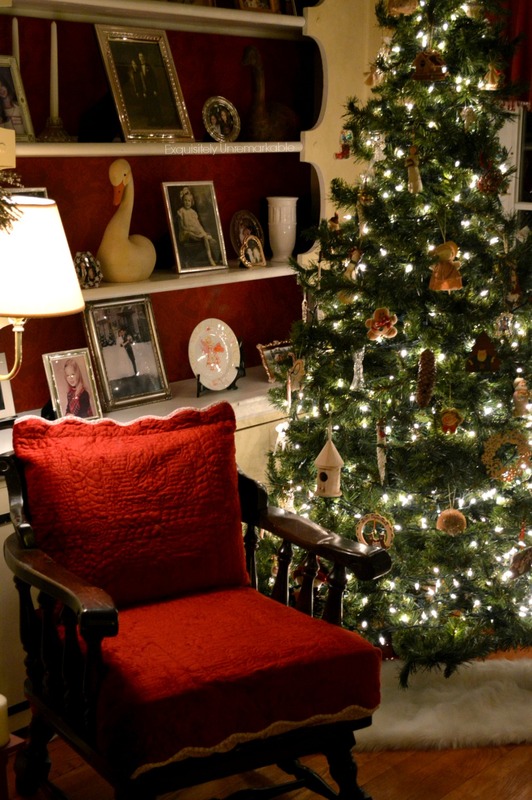 Your home looks so warm and cozy in all its Christmas loveliness! That is too funny about the tv guide! How did we survive without dvr's? yes Linus reciting the passage in Luke is always a tearjerker. And what about the Charlie Brown music. Isn't it the absolute best? What a beautiful post. Two of my three will be celebrating with their 'other side' this year so our Christmas will be in January. Having a later season has turned out to be a good thing. I have a bunch of decorating left to do and a sore shoulder is slowing me down. Someday i will be ready to sit in the evening in the quiet and take it all in but not quite yet. Your house looks beautiful. Enjoyed your take on the Christmas specials. Ooh! 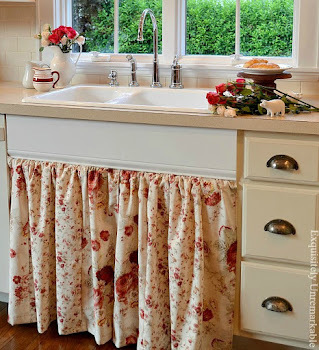 Your kitchen is dreamy! I still haven't decorated much. As always, your house looks so cozy and welcoming and, with your Christmas decor, festive. I always enjoy this time too when everything is up and in place. It always seems to go too fast. Happy weekend my friend! Such a meaningful post, and something that we all need to be reminded of...I love all of your decorations, and they do not need to be over the top or something entirely new...your decorations are just beautiful, just the way they are! Hmm, I never watched the Grinch either...I thought he was scary too! ;) But as I grew older I came to love some of the story line, especially the part you quoted about 'perhaps, Christmas means a little bit more'...so true, it does! Such nice gifts you received from your blog friends! Beautifully written, my friend! I agree with everything you said. I don't like all the rushing around, and my kids are grown, so I don't do that stuff anymore. I stop and enjoy. A beautiful post...and should be a time to reflect and be reminded...Having come from a very abusive family I don't have wonderful memories to reflect, just sadness of what they should of been. Sorry don't' mean to be a Debbie Downer. But saddened I missed out that every child should have...good memories. I love sitting with the lights turned down and candles light...such a special time. Cathy, I write to express myself and I am touched that you have taken the time to share here, whatever your feelings may be. I am sorry for your sadness and I hope that over the years you have been able to make some wonderful holiday memories of your own…sitting in your gorgeous Charmer, lights down low and I wish you a Merry Christmas. balm to our spirits and center us. Beautifully written. Oh Nancy, you always know just what to say! xo Merry Christmas! What a beautiful Christmas post...you brought back a lot of memories of Christmas as a kid, when times were so much simpler. I have gotten rid of so much "stuff", too and I don't know if I told you this, but you were part of my inspiration to do so! 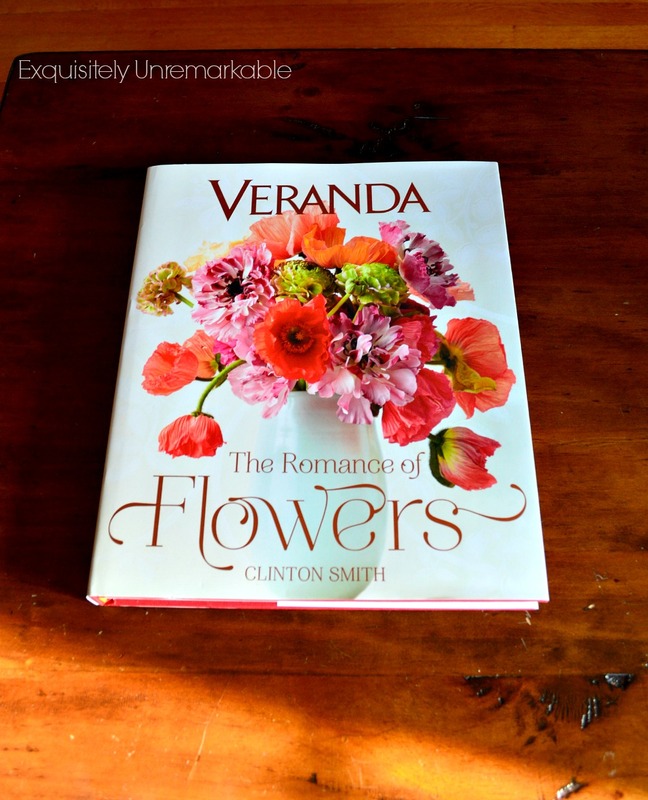 Congratulations on winning that lovely book in the giveaway. You sure have a Lovely home. I love the way you in America decorate for Christmas. It's totaly different from the way I do it, lol. Congrats to that Beautiful book. Would love to have it here on my table too! Your home is always beautifully decorated! I felt the same way about posting Christmas pictures this year, same decor stuck in different spots:) After all, my blog is about decorating on a budget, and that's how I live in real life so I don't go buy but a few new pieces each year, at least until I get it right! I must say however, that I have been loving the very simple, minimalistic in decor, both everyday and Christmas. I love the real Christmas trees stuck in a basket with but a few vintage bulbs! Merry Christmas Kim, and Happy New Year to you and yours!! Thank you, Rhonda. I agree with you, I really do live the way I blog, so to start over or change up my beloveds each year, just wouldn’t be accurate. Besides, I like my stuff!! :) Merry, merry and happy, happy to you and yours as well! Such a lovely post Kim, I really enjoyed reading it thank you. ...and yes, I think I could smell that apple crisp! Thank you Jan. Happy Holidays! Sweet post my friend, and I totally agree, you brought back memories for me too. Special memories....thank you. Oh I remember the anticipation of those movies, too...made them more special somehow! 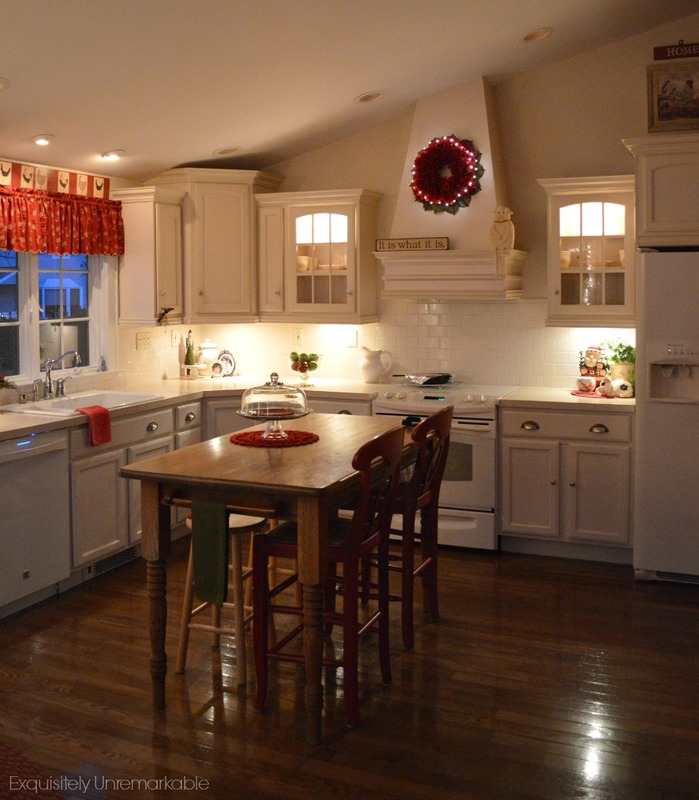 I love your kitchen in the glow of the lights and it's so nice to see someone else with white appliances. after being on a whirlwind trip to Georgia to see the marine's grandsons and daughter in law. it was wonderful. only thing missing... our beloved mike somewhere in the middle east. it did my heart good.. this post. and i too get chills. i can hear his voice now ... "that's what christmas is all about charlie brown." Linus reminds us perfectly of what Christmas is all about and may he continue to do it year after year! I recognize that wonderful feeling of sitting down at night and just looking around and enjoying the tree lights and the old familiar things and watching a classic on television--or even better, listening to Christmas music and hearing for the first time each Christmas season O Holy Night being sung. These are the presents that mean so much. Thank you, Rue. Love and hugs back to you.